Being a host is a kind of art one has to dedicate to one day at a time. Often and easily professional hosts lose sight of the guests’ needs and expectations: However, your holidays are precious and it is our duty by contributing useful and unexpected details to make them becoming unforgettable ones. This duty became our mission; one could say that making you feel comfortable is our purpose in life. 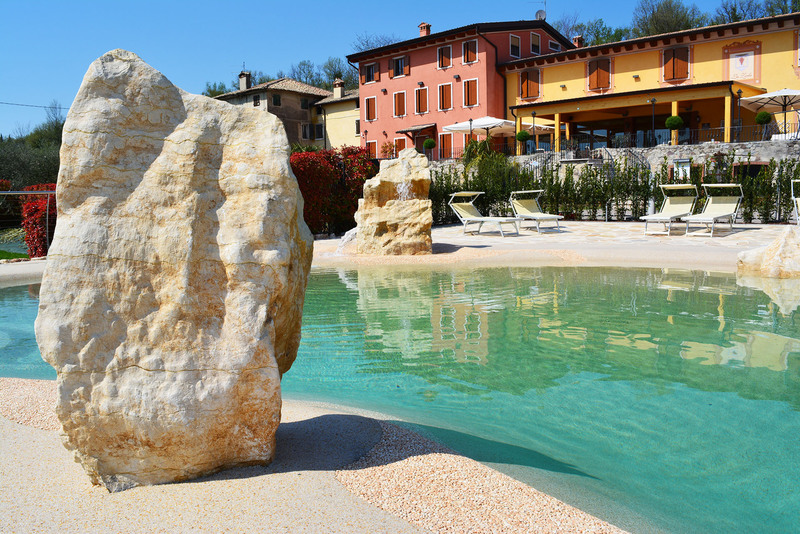 La Zerla focuses on this target: privileged location within the hills surrounding Lake Garda, close to the town centre of Bardolino and the ancient city of Verona, nonetheless situated in a quiet surrounding, enveloped by the delicate smell of olives and vine. 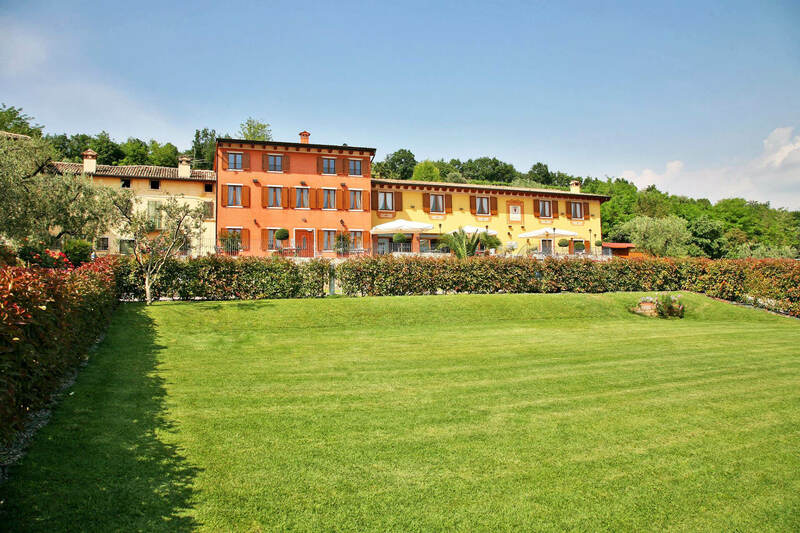 La Zerla is a farmhouse from the 19th century, family-owned since 1928, which conserved its charm for decades. Over the years, we established thanks to your assistance and support a place that is characterised by homely and contemporary accommodation facilities and individual service. Sometimes, we just need to breathe deeply but, where and when? 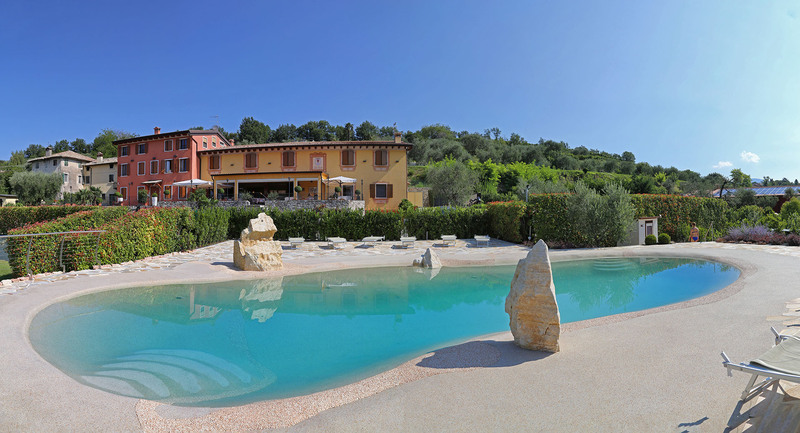 The La Zerla premises offer space for such deep breaths that help bethinking oneself of the good things in life. It just happens spontaneously: on the terrace where you can enjoy the sundown whilst trying a glass of wine, in the garden with swimming pool where you can relax whilst enjoying the sun. What else do our guests appreciate? The rich breakfast buffet because a good day starts with a good breakfast … particularly during holidays! It might have happened to you as well: Your stay in the carefully chosen hotel was disappointing. One of the main reasons for such a frustrating experience often are the hotel stars. Once achieved, the hotel-classification and the applying criteria must not be reviewed regularly. Thus, hoteliers might use them for their sales and marketing although the standard does not hold good anymore. As a classification or any other kind of certificate is rarely a guarantee for an upper grade of service, La Zerla does not strive for such hotel stars and / or quality certifications. Nevertheless, but perhaps even because of this, we see ourselves under a responsibility to provide the best possible service and a high product quality. Therefore, it is up to you and not to any (hotel) stars certifying body to experience and review your stay at La Zerla.